Point Blank is coming to LA. 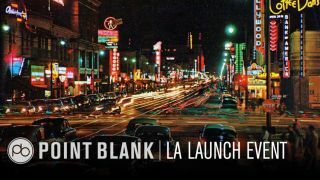 To celebrate the opening of its new LA music school, Point Blank is hosting a launch event on 19 February 2015. Find out more about the event, which takes place from 1:30 to 5:30pm at Mack Sennett Studios, on the Point Blank website. Entry is free, but you need to RSVP.